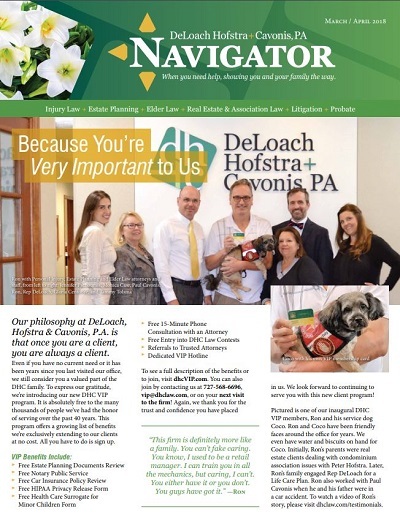 Bimonthly Newsletter Signup | DeLoach, Hofstra & Cavonis, P.A. When you need help, showing you and your family the way. Building a happy and successful future for you and your family is a lifelong process. Whether you have already created an estate plan for your loved ones or are considering buying your first home, we want all of our clients to have the information they need to thrive. 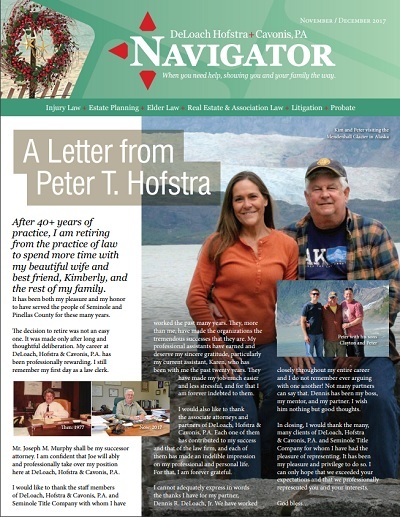 That's why we compile a host of great information to benefit elders, homeowners, and injury victims, and offer it free of charge in our bimonthly newsletter, Navigator. Sign up for our newsletter today to get news and updates delivered right to your home, business or email every other month! Important tips on estate planning, including creating wills and administering trusts. 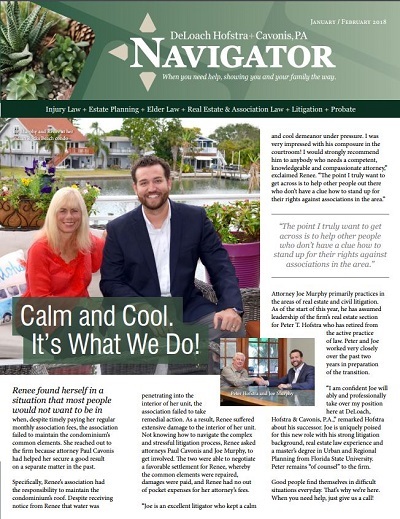 Information on real estate matters, such as steps to take when selling your home. Vital information on avoiding injuries throughout the year, as well as best practices during your recovery. 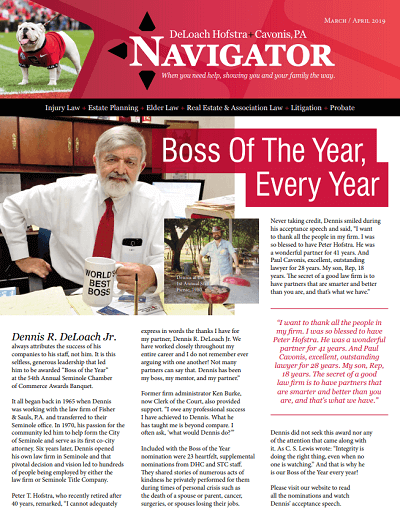 Tips to help resolve business disputes and personal disagreements to avoid litigation. Alerts about upcoming seminars and workshops, including how to protect aging parents and create a robust estate plan. Notifications about celebrations, festivals, and local events in the Seminole, Florida area. 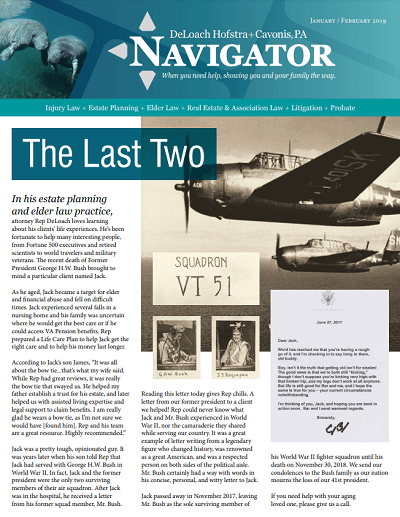 Simply fill out the form below to receive the latest issue of our newsletter and to be added to our mailing list. If you have any questions or concerns, please contact us at 727-777-6842. Happy reading! 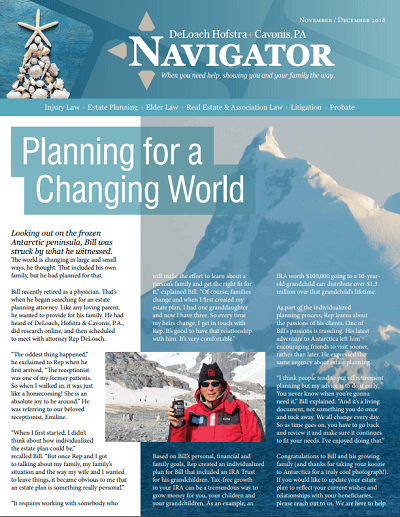 Welcome to the Navigator archive! 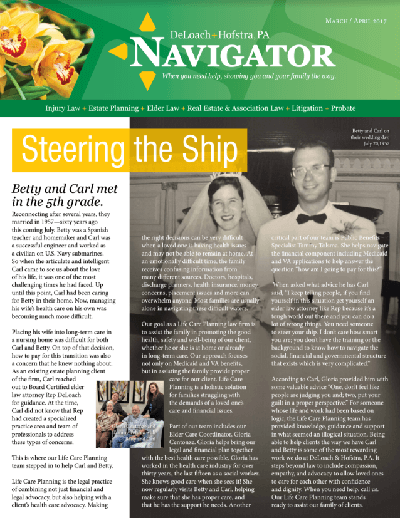 To view or download a past issue, simply click on the issue of choice and it will open in a separate window. 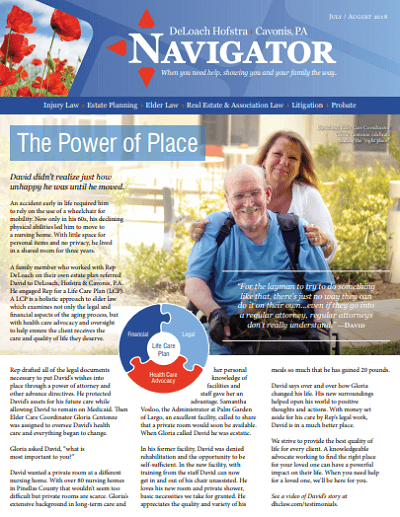 The July - August 2018 issue is here!